الخيار الأفضل للحصول على المتعة والاسترخاء, Shelly Bay Resort يقع في منطقة توركواي في خليج هيرفى. يمكن من هنا للضيوف الاستمتاع بسهولة الوصول إلى كل ما تقدمه هذه المدينة النابضة بالحياة. بالنسبة لمن يريد الخروج، هذه بعض المعالم السياحية المتوفرة للزوار اوزي روفنج 4ب4, ايه 1 فرازر روفنج, كوالا ادفانتشر. إن حسن الضيافة والخدمات الراقية التي تعرف بها SilverNeedle Hospitality تغني تجربتك في Shelly Bay Resort. يقدم الفندق فرصة للاستمتاع بشريحة واسعة من الخدمات بما فيها: واي فاي مجاني في جميع الغرف, واي فاي في المناطق العامة, صف السيارات, مطعم, جولات . تنعكس أجواء Shelly Bay Resort في غرف الضيوف.تلفزيون بشاشة مسطحة, مسبح خاص, اتصال لاسلكي بشبكة الإنترنت (مجاني), حوض الاسترخاء, غرف لغير المدخنين هي بعض الميزات الموجود في العديد من الغرف. يقدم الفندق العديد من الفرص للاستجمام كمثل حمام سباحة خارجي, مسبح (للأطفال), ملعب تنس, حديقة. يشكل Shelly Bay Resort بخدماته الراقية وموقعه الممتاز، قاعدة مثالية للاستمتاع بإقامتك في خليج هيرفى. المكتب مغلق في عيد الميلاد (الكريسماس) ويوم الصناديق. Missed the tiny driveway the first time but went around the block and determined the tiny drive opened up to about 8 spaces and the entrance to the garage with plenty of room. Back yard had tennis court, swing set and BBQ grill for our use. Check in seemless with incredibly friendly, solicitous staff. They even handed us a bottle of milk in case we wanted to make coffee or tea. Bed comfortable, room had sufficient lighting, a constant complaint of mine. Full kitchen implements available, hair dryer, soaps, shampoo, two TVs, nice, furnished porch overlooking beach across the street Pool looked a bit uninviting, apparently in need of a chemical or two. Indian restaurant on grounds and ten or 12 walkable venues for any desires. We did pizza and Gelatto one night and French another. Be aware this is a quiet town which rolls up early, at least in April. Call beforehand to make sure of closing times. We truly enjoyed our stay and recommend it. We had a wonderful stay at Shelly Bay Resort. It was our first trip with our 10 week old baby and the staff were very welcoming and accommodating and had set up a cot in the main bedroom for us. The apartment was clean and spacious with everything we needed and the king size bed was super comfortable! The pool was perfect for catching some sunshine and the beautiful beach is just across the road. Andy was really helpful and kind allowing us an hour extra to get our stuff together before we checked out at the end of our stay. We will definitely be back again! The receptionist was super fantastic and so friendly.. Suited our needs perfectly, great location to watch the classic cars from our balcony was a bonus! Relaxing seeing the water, and the room was comfortable and well appointed. We will definitely be back. We noted mixed reviews for Shelly Bay Resort across different booking sites, so we were unsure what to expect. What a wonderful stay! Shelly Bay Resort thoroughly exceeded our expectations- notably, Andrew (Manager) phoning ahead and offering us an early check-in, warmly welcoming us on arrival, and offering a late check-out at no additional cost. Even though we had been to Hervey Bay before, Andrew made a point of making sure we knew where to go for local eats and treats. Santini pizzas and gelato are wonderful- a must for any visitor to Hervey Bay. The room was exceptionally clean and spacious. Every need met. Excellent value for money. Great location. The Resort was full due to a triathalon event however it was lovely and quiet. Loved the balcony and sunset/sunrise views. We wished we could have stayed for a week and will certainly visit again. Highly recommend Shelly Bay Resort. Well done to the Management team. 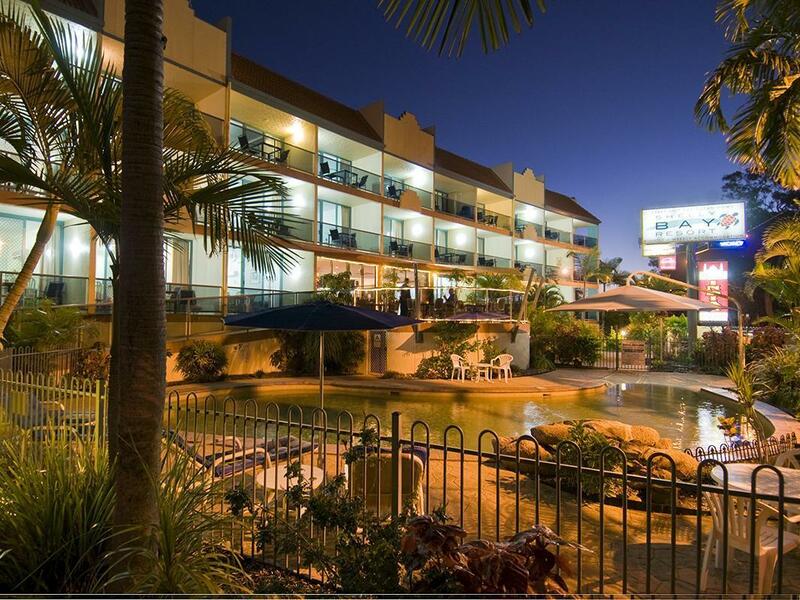 Good location, see view, super frindly staff, nice rooms with all what is needed. One disadvantage - limited wifi. We arrived here at about 7pm to be personally greeted by Andrew and Donna the owners. At this stage we didn’t realise that the reception should’ve actually closed an hour before. A&D were so helpful and friendly, we had 3 fab nights here. This is no 5* Hotel but instead a clean, spacious and brilliant self catering base for exploring the area. Unlike the cities everything in the area shuts early (8.30pm)and there isn’t a small shop on the same road so we ate breakfast at the coffee shop a few doors down. We had already booked our day trips to lady Elliot island and Fraser Island but If we hadn’t a&d would’ve been more than happy to help. Inside the bathroom there was a washing machine & dryer for which they had provided powder. The pool area is small but great for relaxing after a busy day and you couldn’t get closer to the sea just the other side of the road. Great value for money. Would stay again and can’t thank Andrew and Donna enough for such a friendly and helpful experience! 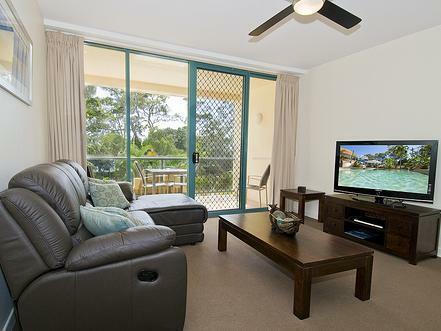 Right across the road to the beach, lovely sunny balcony for us southerners who travel north during winter! Our unit was so well equipped, thought of everything in the kitchen. Managers and staff very friendly. Highly recommend. The room was homely, the managers and staff were so friendly, definitely be back. We stayed in a 2-bedroom apartment, which was very spacious & great value. Love waking up to see the ocean in the morning! This is the third time I've stayed here and I'll be back! Very unhappy with our stay here, reception was already closed at 6pm, very poor lighting outside rooms when arriving at night,rooms smelt musty and damp, they had rusty clothes airier, mops and brooms hanging in bathroom these shd be put away in utility cupboard, towel rail broke, my husband and i both had a shower in the morning when they kids went to jump in there was no hot water left for their shower or to do dishes, no milk left in room, plus there were rules posted everywhere for everything u could imagine, just does not set a good vibe for a family holiday, would not recommend staying here. The best part of our stay besides the great location was the professionalism of the resort managers. They went out of their way to make sure we were comfortable and enjoyed our holiday. Thank you. Excellent. We highly recommend this resort. The hotel is on the main esplanade. On arrival we were given our keys by the managers of the complex and details explained. Staff were very helpful and even called taxis for us in the evening. 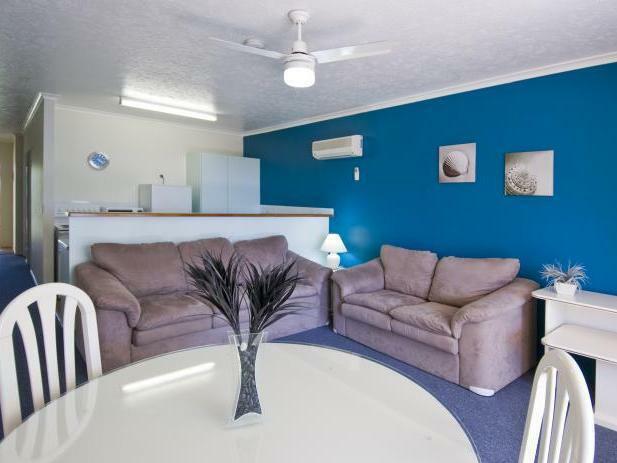 The apartments are very roomy, clean and have everything you need for a holiday. The road is noisy during the day but ok at night however you are right on the beach front, so easy to access by foot. Only thing I think could be improved was our apartment was overlooking the restaurant and especially during the evening, diners could see right up to our balcony. Would suggest they put some covering at the bottom of the railing so that clients get their privacy at this time. Would certainly recommend and have already done, to friends and family. I was happy with my stay here, reception staff were good and welcoming.. I will probably stay there again. enjoyed thoroughly, would have no problems with choosing the place again to stay in. size, quiet ,well set out. was a great stay couldnt complain about anything.everything was there for self catering.quiet rooms great views.